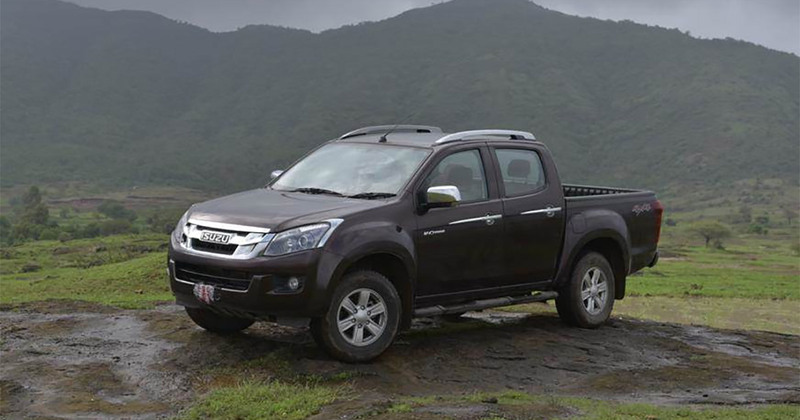 Isuzu Motors new D-Max V-Cross pick-up will now be available across all CSD outlets on the Indian Army. This would make the pick-up more affordable than similar trims available through dealerships. Though initially only standard variant of the new D-Max V-Cross will be exclusively sold to armed forces personnel, ex-servicemen and their families. The V-Cross was first unveiled at the February 2016 Auto Expo and carries a competitive price tag price tag Rs 12.49 lakh (ex-showroom, Chennai). The V-Cross is a four-wheel drive and comes laden with all modern SUV features coupled to a large deck. The four-door pick-up will be a complete India built unit with manufacturing duties performed at Isuzu Motors India’s manufacturing plant at Sri City, Andhra Pradesh.